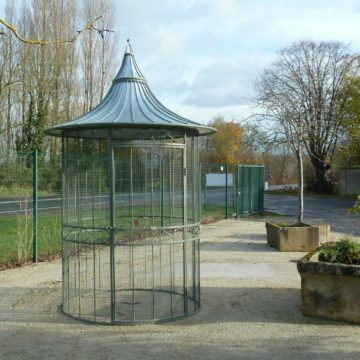 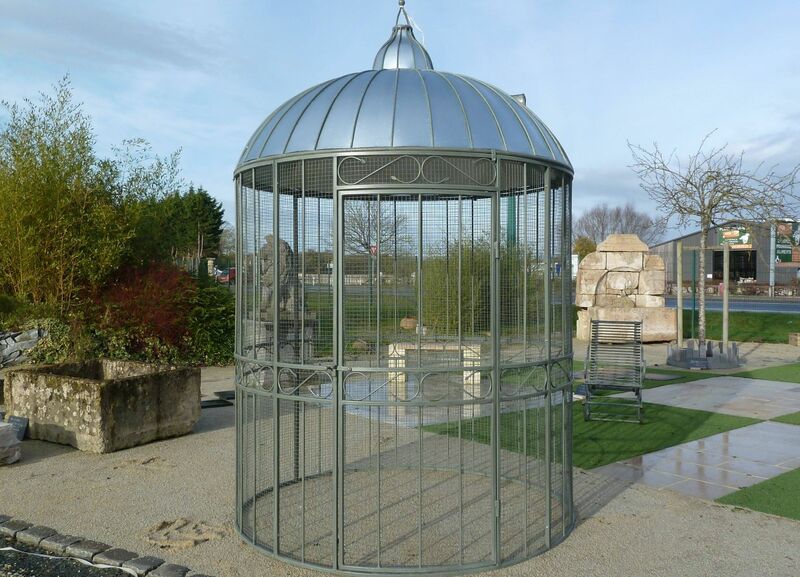 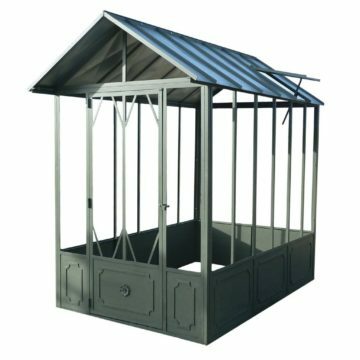 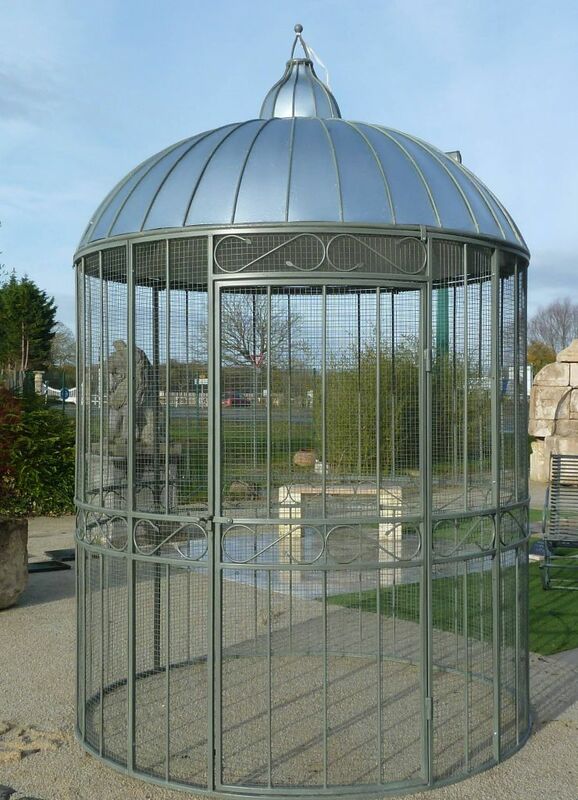 Circular gazebo bird-cage with domed roof. 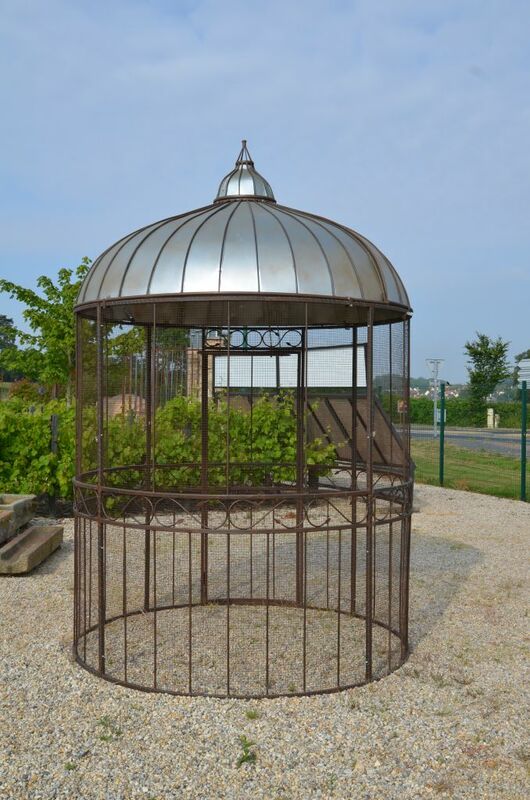 Steel and zinc gazebo on display at BCA’s Normandy premises at Méry Corbon, east of Caen. 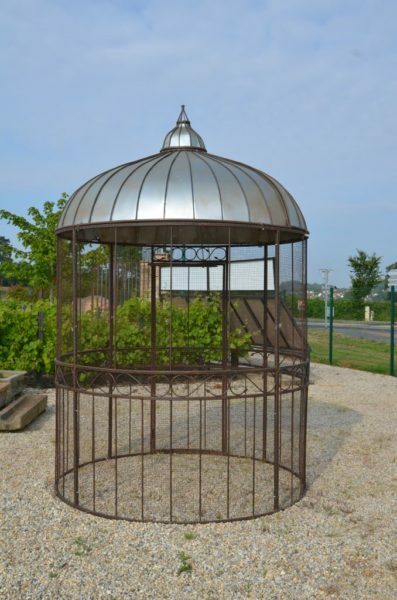 Painted metal Aviary. 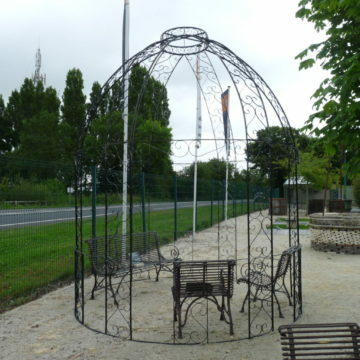 Diameter is 2 metres (6.5 ft) approx.